Anthem windshield replacement and auto glass repair has never been easier. Glas Tek offers auto glass prices online, free rock chip repairs, nationwide lifetime warranty, $50 CASH TODAY auto windshield replacement claims, quality service & parts, military and senior discounts, 10% Rewards, fast & friendly service and free mobile to Anthem Arizona. An accident can happen at any time to anyone. That’s why you need to be prepared. Glas Tek can help you when you find yourself in a situation where your car glass has sustained damaged, such as a crack or break. Glas Tek is an auto glass company that provides mobile service to Anthem, Arizona. What is so unique about this business is that it is female-owned by Lanette Canen, who has more than twenty years of experience in the auto glass repair industry. Her business specializes in auto glass repair, windshield replacement and much more. The Glas Tek technicians can replace or repair broken car windshields or any chipped glass in your car. They work on all types of vehicles, whether big or small. They also provide a free mobile service throughout the Phoenix Metropolitan area, making them highly accessible for any incidents you run into on the road. The company purchases auto glass from various manufacturers to install and replace them in vehicles. The two main types of auto glass they use are laminated glass and tempered glass, the tempered glass being far stronger with the benefit of a making a cleaner break in an accident. Depending on the type of glass in your windshield or car, the technicians will advise you if it can be repaired or needs to be replaced. Tempered glass generally has to be replaced if it is broken. If your windshield only has a chip, rather than completely shattering, Glas Tek can repair this by clearing away any fragments and injecting a special resin to fill the chipped space. This resin is then cured with ultra violet light to strengthen it and stop it from cracking further. This can save you a lot of money by addressing the chip early rather than having to buy a new windshield later on. Windshields and auto glass also comes in different shades, tints and colors, so if you have something special that you use for your vehicle, Glas Tek will try their best to accommodate your request. 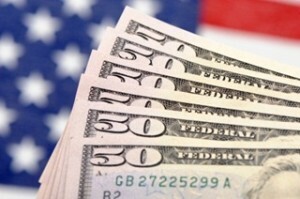 If you carry full auto glass coverage on your Anthem policy, Glas Tek will bring you $50 CASH at the time of service. We are approved by all major auto insurance companies that include; Farmers, State Farm, Geico, USAA, Hartford, Progressive, Amica, Safeco, Safe Auto, and many more. We accept and honor all insurance pricing structures so that there will never be any out of pocket costs for you. 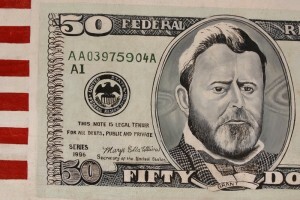 Plus, we will give $50 CASH TODAY with all approved windshield replacement insurance claims. We can come to your home or work location in Anthem or anywhere in Phoenix metro market for FREE. Windshield replacements typically take about 60 minutes to complete and can be done in any parking lot, garage, carport, or safe street location. 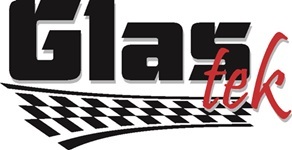 Glas Tek is an Anthem windshield replacement and auto glass repair company that prides themselves on their world-class customer service and the absolute best value. We serve all customers with unsurpassed high quality windshield replacements and yes we even come to you, the residents of Anthem Arizona. We serve all over the valley every single day, and we have some of the most skilled windshield replacement specialists in Anthem, who have at least a five years in the business of auto glass replacement installation and repair. We provide affordable auto glass replacement quotes, free lifetime rock chip repairs with customer paid new windshields, and $50 NOW! w/ insurance auto windshield replacement claims. So who are you going to trust with your safety, in a rollover accident the windshield is about the only thing that is keeping you protected from the roof coming in. So just remember safety comes first, and when it comes to safety, value, and service your best bet is Glas Tek. If you need a windshield replacement or auto glass in Anthem, you can get a quote from them right on their website for ease of reference. Visit Anthem windshield replacement quote for a free, no obligation, fast, low-cost price quote today. The quote will include the cost of labor, and you will be advised if there are additional costs for extra items such as moldings or rain sensors. Glas Tek will make every effort to utilize parts from your previous windshield, if possible. In addition, Glas Tek provides free rock chip repairs with any windshield they install. Plus, unlike our competitors we will come back to Anthem to repair those for free too. Typical windshield chip repairs cost $49.95 so your new windshield could end up paying for itself in the long run. Additionally, if you need a new windshield or auto glass part we will also deduct 10% from your last purchase from your new purchase. SO if you paid $200 for your windshield, you have earned $20 towards a future auto glass purchase. It’s a pretty good deal!! Anthem is considered one of the best places to live in all of Arizona, Phoenix Magazine also claims this and Parenting Magazine says it’s one of the very best places to raise a family in the valley. It features many recreational opportunities, very peaceful hiking spots with sweeping mountain vistas, and many golfing areas to relax at. The only connection to Anthem and the Phoenix metropolitan area is Interstate 17 which many times causes traffic delays and problems. There are plans to widen I-17 from the Loop 101 to Anthem Way by The Arizona Department of Transportation. Construction in the year 2007 to widen the 2 lane highways of the I-17 to 4 General Purpose lanes including a HOV lane from Carefree Highway to Loop 101. In 2009 I-17 will have 3 lanes in each direction from Anthem Way to Carefree Highway. 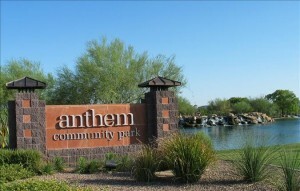 Anthem, Arizona could possibly be referenced to Florence’s Anthem or Anthem at Merrill Ranch, which are all very similar communities being developed by Pulte Del Webb who lives in the town of Florence, southeast of Phoenix. After the original Anthem, the success from that community helped the newer Anthem grow to become a self-sufficient community that carries a mix of commercial development with a healthy dosage of residential. It comes with the same recreational amenities as seen in the New River Anthem. Merril Ranch’s Anthem will have a age-restricted retirement community and will be another successful addition to Del Webb’s highly accomplished Sun City communities.